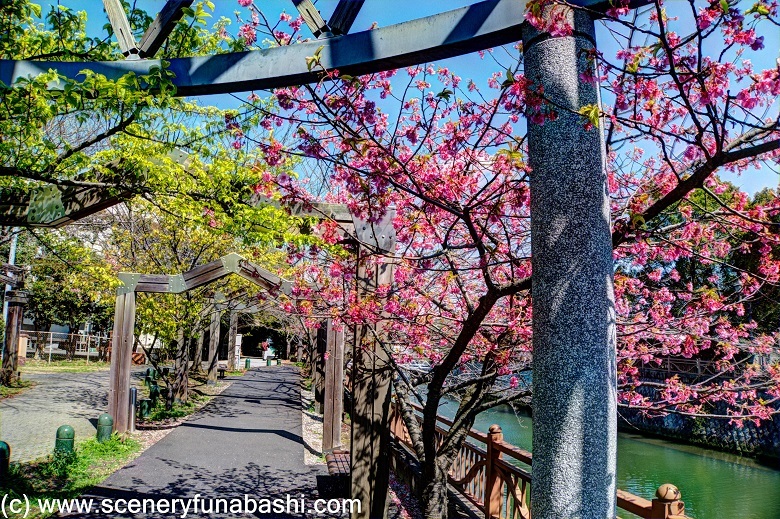 Today, I visited the Ebigawa River to view Kawazu cherry blossoms. 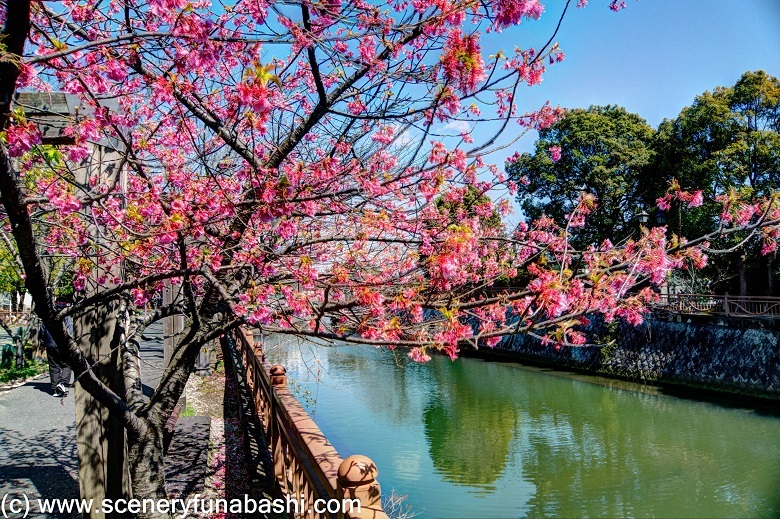 Kawazu cherry is a variety of early blooming cherry blossoms. 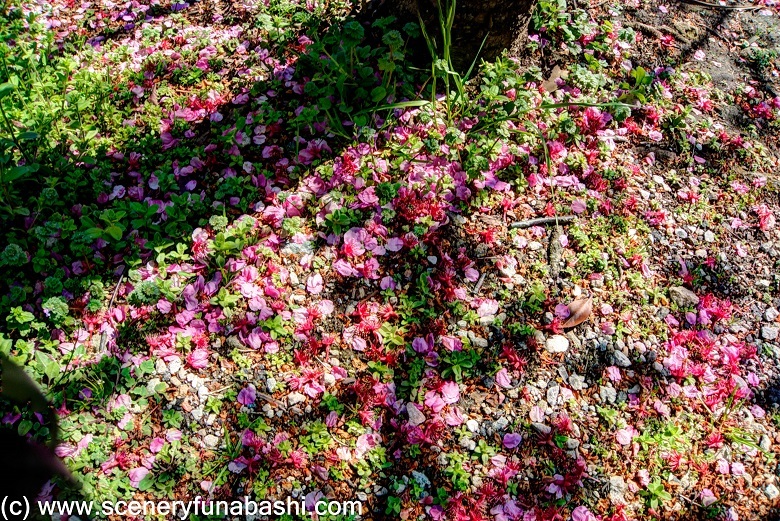 There were many deep pink petals under the trees.